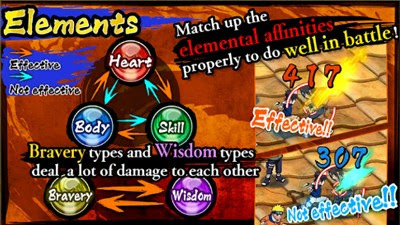 Here'a some general tips and strategies for defeating hard missions and complete certain conditions in the Android and iOS mobile game NARUTO SHIPPUDEN: Ultimate Ninja Blazing. - As usual, it's best that you attack targets that are weak against your ninja's elemental affinity. - Before you move your ninja, always check the element of the next enemy that will attack after your turn. If for example his element is "Heart" and your current ninja this turn has a "Body" type element, then just to move him anywhere but making sure that he is the closest one to that target. - You can also do this while attacking. - Same example above, but this time you current ninja this turn has a "Skill" type element which is weak to "Heart". The best thing to do here is to move him away, or behind someone that can tank. 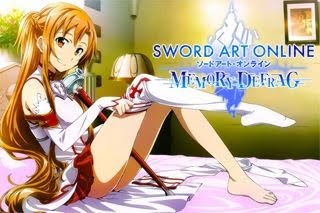 - Even though they are weak, they can do massive combo damages if left alone, especially when there is a Boss near them. Note that sometimes, lesser Boss enemies will also spawn along with the usual wave of enemies, eliminate them fast before you take lots of damage. - At the start of a wave, it is sometimes best to clear weak enemies fast before backups respawns. Don't hesitate to use Ninjutsus before your team gets overwhelmed! - If your team can't eliminate most of them, at least do not let them stuck up close to each other. - Do not let your ninjas stuck up to close to each other because it will make your team vulnerable from AoE and combo attacks. - To avoid this, use the tip of your range when attacking and if possible position away from your allies, like for example: "behind the enemy", to limit their attack range and number of targets when it's their turn to attack or use their dangerous ninjutsu. - These potions are life savers, especially when you are up against tough enemies, and if you don't have enough healers to back your team up. - Save them if your team doesn't need them yet, to let them grow overtime. Note though that once you complete the current wave of enemies, potions will not carry over, so pick them up if you need to replenish your team's health before entering the next wave. - Small Health Potion: recovers around 25% total health. - Medium Health Potion: recovers around 50% total health. - Large Health Potion: recovers around 75% total health. - Small Bottles: +1 Chakra to the one who picked it up. - Medium Bottles: +2 Chakra to the one who picked it up. - Large Bottles: +1 Chakra to all 3 ninjas. - Chakra bottles can be picked up, whenever you need, best while attacking. - Your aim here is to let all of your team's ninjas to charge their chakras before entering the next wave. This is highly recommended for tough missions, like for example: when you are trying to complete a stage condition where you need to defeat a full Heart enemies by only using Skill element ninjas. - Your team must have at least 1 or 2 healers (dodgers and tank will work too). - Now, defeat all enemies until there is only 1 remaining, let 1 of your ninjas tank while keeping the others away to avoid extra damages, switch to your healers if needed. - Skip their turns without killing the enemy to let their chakras charge until they are full. - Proceed to the next wave, then repeat. - Healers, Tankers, Immobilizers, and Jutsu Sealers are pretty common as support ninjas, but the problem is, they are pretty hard to get, especially for F2P players. So, I highly recommend using these under-rated Perfect Dodgers too because they can actually do the same purpose or even better! - Nullifies incoming damages for a number of turns. - So, instead of healing, they avoid damages, can also tank or even better, renders enemy attacks useless so it's somewhat the same with Immobilizing for 1 turn or Jutsu Sealing. 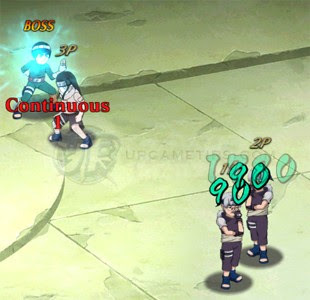 - Simply activate their ninjutsu, then move next to your target enemy, best for Bosses that is about to use their dangerous attacks, or against a group of enemies that is about to unleash multiple combos. Best of All, Some of Them Are Farmable Too! - For some Boss enemies that uses an AoE type Ninjutsu having a "long horizontal attack range", it's funny though because they can't use it if your ninjas are stuck at the very edge of the screen~ haha!